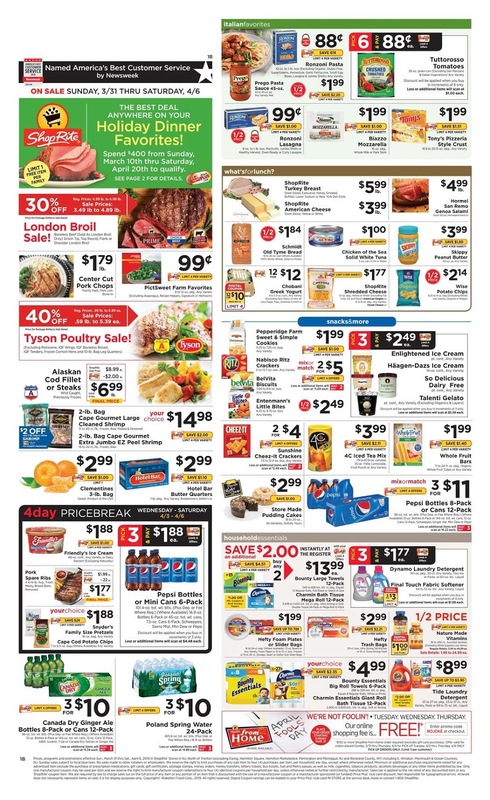 Get the ⭐ ShopRite Weekly Ad 3/31/19 - 4/6/19 on this page. Don't miss out on the latest ✅ ShopRite Circular March 31 - April 6, 2019 and find the latest sales and deals. Browse the current ShopRite flyer for this week and take great savings on Quaker Cereal, Store Baked Apple Pies, Goodman's Chocolate Macaroons, Botticelli Extra Virgin Olive Oil, L'Oreal Excellence Hair Color, and much more. To save more at the ShopRite store, don't forget to use digital coupons. To download digital coupons, you can visit the official website at shoprite.com. Also, you can learn what's on sale each week at ShopRite via the paper sales circular. 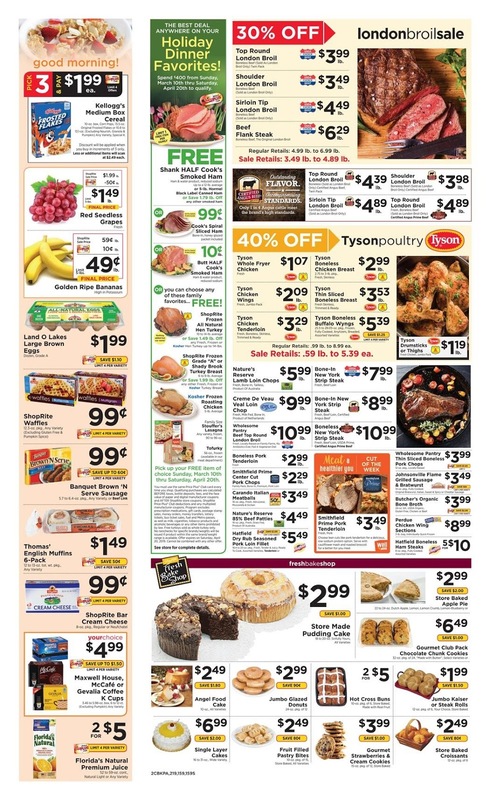 Here are the featured ShopRite weekly circular ad with the latest Coupon Deals. ShopRite circular is available in new hyde park, philadelphia, staten island, brooklyn, newark nj, milford ct, and other locations. Get the latest ShopRite weekly ad preview for next week on this page, so don't forget to bookmark this page in your browser.